A convicted felon was back behind bars Sunday after deputies say they found weapons in his car. Aaron Haygood, 31, a convicted felon on probation for dangerous drugs, was arrested after an alert deputy spotted a car with a broken brake light Saturday night in unincorporated Gilroy, the Santa Clara County Sheriff’s Office said. Deputies pulled over Haygood at Masten Avenue and Monterey Highway at about 5:35 p.m. Saturday. 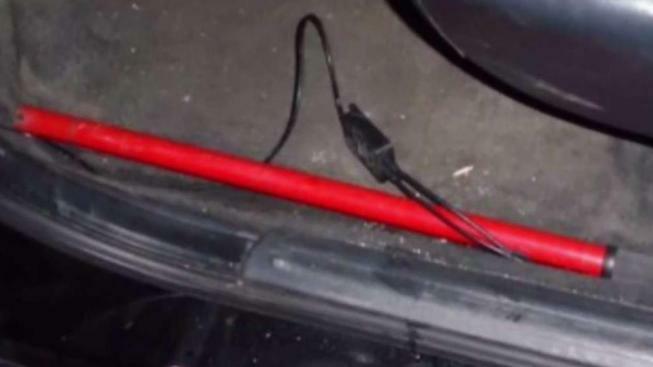 They searched the car and found a loaded, unregistered gun with a high-capactiy magazine and a billy club, sheriff's officials said. Haygood, a convicted felon and on probation for drug charges out of Nebraska, faces weapons charges and a parole violation, sheriff's officials said.He was booked into county jail without incident.